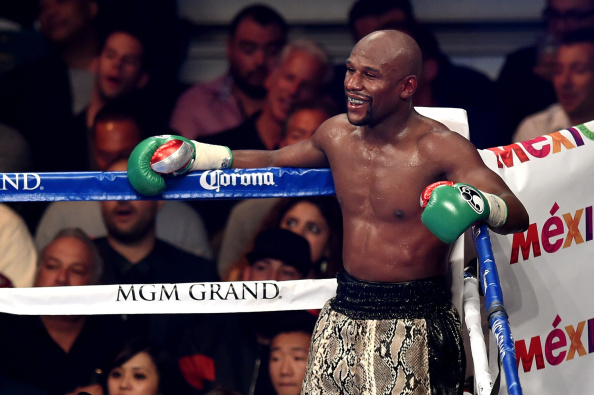 Shelling out $100 for the Floyd Mayweather-Manny Pacquiao fight last May was too steep a price for many fans (and sports bars that also had to pay exorbitant fees). But even those who were willing to buy the pay-per-view broadcast ran into issues as cable companies were overwhelmed by the volume of orders within a short period of time, freaking out customers who had just paid a hundred bucks shortly before the bout was to begin. That led many people to seek the fight out through other channels. But with HBO and Showtime cracking down on websites planning to post illegal streams or bars showing pirated broadcasts, not as many options were available as in the past. Ultimately, enterprising and magnanimous sports fans saw an opportunity and shared the broadcast through Periscope. Showtime and CBS would obviously like to avoid losing profits to Periscope (or any other sort of illegal streams) for Mayweather’s match versus Andre Berto on Saturday (Sept. 12). So in an attempt to curb such options, the networks are offering an option besides ordering the fight on PPV through a cable provider. Fans can order the Mayweather-Berto match for their computers or mobile devices through cbs.com/fight. This is the first time such a broadcast will be available to stream. However, if you thought getting the bout through a legal streaming outlet might save you some money, you’re going to be disappointed. The broadcast will cost $64.99, exactly the same fee as ordering the fight on PPV. So while this isn’t a cheaper alternative for boxing fans (or those curious to see what Mayweather is claiming will be his final fight), it is an attempt to reach out to cord-cutters who wouldn’t have been able to purchase the telecast without a cable provider and thus looked for outlets like Periscope. In an attempt to further entice potential streaming customers, buyers purchasing the event will also get a three-month free trial of CBS All-Access, the on-demand and streaming service for CBS network programming available only through subscription. As with the PPV telecast, the streaming broadcast includes access to Friday’s weigh-in, the 90-minute pre-fight show and all four matches on the card Saturday night, which include a WBO Junior Lightweight title rematch between Rocky Martinez and Siri Salido and a WBC Super Middleweight World title fight pitting Badou Jack against George Groves.